The installation of 8,390 linear ft. of new storm sewers and 90 catch basins will help to better manage the precipitation that falls in the area and reduce localized flooding. The New York City Departments of Environmental Protection (DEP) and Design and Construction (DDC) announced that work is under way on a $35 million project to improve drainage and enhance Jack's Pond in the South Shore's Great Kills neighborhood. The infrastructure upgrade will include the construction of 90 catch basins and more than a mi. of new storm sewers that will collect stormwater and direct it to an enhanced Jack's Pond, where it will be naturally filtered to protect the environment. In addition, more than 2 mi. of new sanitary sewers will allow approximately 51 homes to connect to the city sewer system and discontinue the use of septic tanks. The project, which is anticipated to be completed in 2020, is being funded by DEP and the construction is being managed by DDC. The installation of 8,390 linear ft. of new storm sewers and 90 catch basins will help to better manage the precipitation that falls in the area and reduce localized flooding. In addition, 12,595 linear ft. of new sanitary sewers will allow 51 homes to connect to the city's sewer system and discontinue the use of septic tanks. Construction will take place along portions of Ramble Road, Dent Road, Hillside Terrace, Cleveland Avenue, Brown Avenue, Nelson Avenue, Amboy Road, Adrienne Place, Locust Place, Rustic Place, Grandview Terrace, Clovis Road and Monticello Terrace. 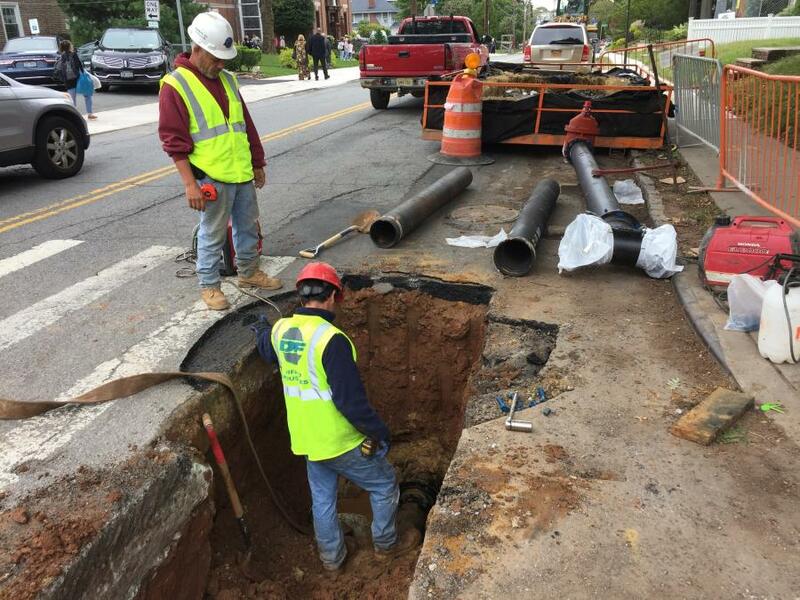 While the roadways are open to add the new sewers, the city also will upgrade the water supply delivery system by replacing the old cast iron water mains with 11,820 linear ft. of new ductile iron mains. Upgrading the distribution water main network will help to ensure a reliable supply of high quality drinking water for area residents for decades to come. In addition, 48 new fire hydrants will be installed to ensure that firefighters have ready access to the city's water supply. The project also will include work to enhance Jack's Pond in order to store and convey the stormwater, similar to Bluebelts the city has built across the south shore. Crews also will enhance wetlands and stream channels that will slow the flow of stormwater, reduce erosion and allow pollutants to settle out. Work also will include the deepening of Jack's Pond to increase storage capacity. The award-winning Bluebelt program preserves natural drainage corridors such as streams and ponds, and optimizes them to help control and filter stormwater before it empties into New York Harbor. Over the last ten years, DEP has built Bluebelts for approximately one third of Staten Island's land area. This summer, DEP completed the $15 million construction of a new Bluebelt near Richard Avenue in Pleasant Plains, as well as the $48 million expansion of the Sweet Brook Bluebelt near Sheldon Avenue in Woodrow. In the South Richmond and mid-Island areas, the city has purchased approximately 400 acres of wetland property for Bluebelts that provide drainage for 19 watersheds, covering about 14,000 acres. The Bluebelts also provide important open spaces and serve as a habitat for diverse wildlife. DEP manages New York City's water supply, providing approximately 1 billion gallons of high-quality drinking water each day to more than 9 million residents, including 8.5 million in New York City. The water is delivered from a watershed that extends more than 125 mi. from the city, comprising 19 reservoirs and three controlled lakes. Approximately 7,000 mi. 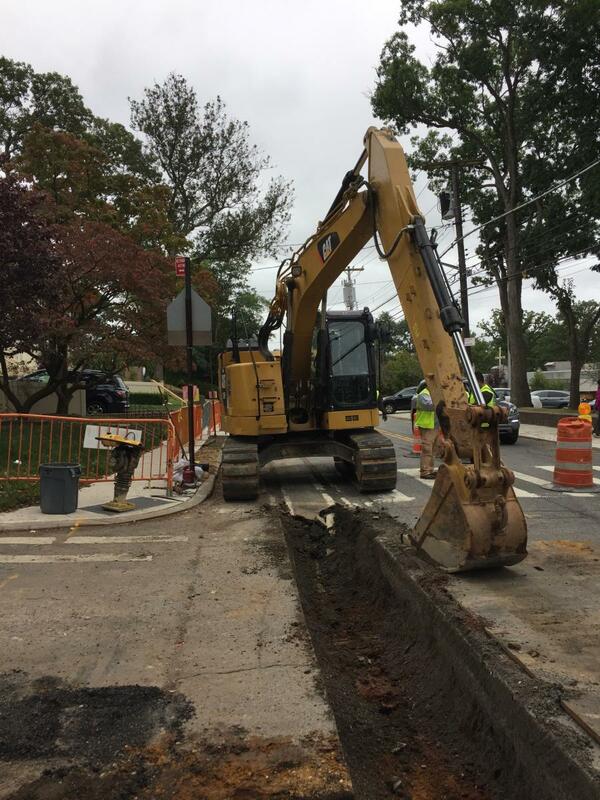 of water mains, tunnels and aqueducts bring water to homes and businesses throughout the five boroughs, and 7,500 mi. of sewer lines and 96 pump stations take wastewater to 14 in-city treatment plants. DEP has nearly 6,000 employees, including almost 1,000 in the upstate watershed. In addition, DEP has a robust capital program, with a planned $18.9 billion in investments over the next 10 years that will create up to 3,000 construction-related jobs per year. For more information, visit nyc.gov/dep.